It’s safe to say that winter has arrived in the Green, Ohio and Canal Fulton, Ohio areas. Which means, of course, that we all need to pay extra attention to our vehicles. Now is not the time to forget to refill your antifreeze, avoid an oil change, or neglect your tires. And it’s definitely not the time to follow any other vehicles too closely. Riding someone’s tail is a bad idea any time of the year, but risking glass breaks in your car’s windshield in the winter? Well, that’s a very poor decision. There are a lot of effects of cold weather, one of them being the expansion and contraction of glass. If you blast the heat or the defroster in order to thaw your frozen windshield, you could end up irritating any small fissures that occurred when a pebble was kicked up by the semi in front of you. And before you know it your car has a long, jagged crack right in your line of vision! Not exactly something you want to deal with in single-digit temperatures, is it? Fortunately for you, Classic Auto Glass Inc. would be more than happy to help you avoid such a situation by providing auto glass repair. This Canton, Ohio area team will make the trip to your vehicle, do a thorough inspection, and let you know whether there’s a simple treatment or you need a total auto glass replacement. If you make the mistake of following someone too closely on the highway from Green or Canal Fulton, you could find yourself in some serious trouble. Not only are you risking an accident, but debris can be kicked up by the wheels, hitting your windshield and causing a small glass break. Now, you may scoff at the idea of a tiny crack in your windshield, but the effects of cold weather have a major impact on the exterior of your vehicle. When you have a tiny flaw in the glass of your frozen windshield and you turn on the heat, the inside layer of the glass will expand while the outside layer will contract. The result? A distorted windshield that you’ll need to get fixed immediately. Classic Auto Glass of Canton has had many customers who have neglected to get auto glass repair while the crack was small, leading to the need for a complete auto glass replacement when the issue became too severe. So, what to do this winter? Well, for starters, make sure to stay at least one car length away from the driver in front of you. This will lessen the chance of glass breaks in your windshield. If you notice a flaw in the glass, make sure to enlist the help of Classic Auto Glass Inc. for auto glass repair. They’ll make sure to fix the crack so you won’t have to worry about it expanding when you go to thaw your frozen windshield. Even if the effects of cold weather on your windshield are so bad that you need a complete auto glass replacement, Classic Auto Glass can help. Simply give them a call at 330.484.0597 and give them your Green, Ohio or Canal Fulton, Ohio home address. They’ll show up in your driveway in a timely manner and will bring everything they need to make your car like new again. 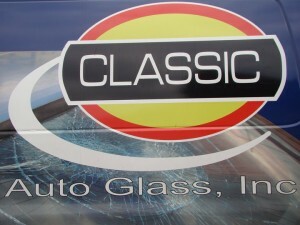 Visit Classic Auto Glass of Canton, Ohio at www.classicautoglassinc.com for more information. This entry was posted in Auto Glass, Automobile and tagged auto glass repair & replacement canton ohio, auto glass repair Green Canal Fulton Canton Ohio, Classic Auto Glass Canton Ohio, effects of cold weather Green Canal Fulton Canton Ohio, frozen windshield Green Canal Fulton Canton Ohio, glass breaks Green Canal Fulton Canton Ohio by admin. Bookmark the permalink.